Beautiful town house, ideal bed and breakfast or other tourist project. The Puy-de-Dôme has become popular with ramblers and nature lovers due to the variety offered by its dynamic landscape. Wide pasturelands and still lakes give way to volcanic mountain ranges with rocky corries and steeply cut valleys. 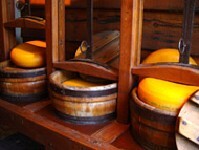 Agriculture is the dominant industry in the department and cheese and wine are the Puy-de-Dôme's two biggest exports. The departmental capital is Clermont-Ferrand, distinguished by its black houses made from local volcanic rock. The city is central to the Massif Central, both geographically and economically. This is an interesting town, which hasn't lost its rustic feel despite its increasing popularity. There is a charming old town, a lively university and a whole host of restaurants and bars. Clermont-Ferrand was formed in 1631 from the union of the towns of Clermont and Montferrand. The town that resulted played an integral part in the French industrial revolution thanks to the entrepreneurial zeal of a lady called Madame Daubrée. The niece of Charles Macintosh, Madame Daubrée built upon her uncle's entrepreneurial wisdom and opened a number of factories in the town. The bouncing ball (often played with by children and originally made of rubber) is an invention whose origins can be traced back to one of Madame Daubrée's factories. A short distance form Clermont-Ferrand, you'll find the impressive Puy-de-Dôme volcano. The volcano last erupted so long ago that visitors are allowed to climb to the top and can do so with a certain peace of mind. The breathtaking panoramic views from the top make this an ideal setting for a picnic. Although this is a fairly gentle climb, if you don't have the energy to carry your lunch up with you then you could always make a reservation at the volcano's summit restaurant. The city of Thiers is an architectural wonder in itself. It is situated on the edge of a ravine looking down on the Durolle River below and is home to a vast array of magnificent buildings. Many have been carved with intricate images such as grinning faces. Cutlery making has been the town's traditional industry since medieval times and there is an interesting museum dedicated to the subject. Issoire is a prosperous and bustling town situated in the middle of lush green countryside and encircled by wide boulevards. It has a magnificent 12th century Romanesque Abbey, one of the largest in Auvergne. After the war the town was transformed into a major industrial powerhouse specialising in metalwork. Riom, in the north of the department, is the historical capital of the whole of the Auvergne region. It made its name during the Second World War when, in 1942, the Jewish socialist Prime Minister Leon Blum was put on trial here by the Nazis. He successfully managed to turn the proceedings around and blasted the authorities for Nazi collaboration. As the trial grew into a farce it was quickly suspended and Blum was sent to Germany. However, Blum survived the war and returned to deliver evidence in the Nuremburg trials. Today Riom is a quiet town with few lasting reminders of its past historical significance. The department is becoming a popular choice amongst Parisians looking for second homes. Clermont-Ferrand in particular represents good value for money and has the added bonus of a strong rental market. Do you know Puy-de-Dôme better than we do? Do you have photos of Puy-de-Dôme? The Puy-de-Dôme is located in the centre of the Auvergne region of France.